Dr. Gary Cass began in ministry in 1980 preaching the Gospel behind the Iron Curtain and working with the persecuted church in the former Soviet Union. For twenty years Gary served as a pastor in the San Diego area and is a minister in the Presbyterian Church in America with graduate and postgraduate degrees from Westminster Theological Seminary in California. 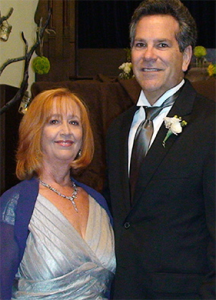 While serving as a pastor, the California Life Coalition recognized Gary for his leadership. Gary partnered with Troy Newman and successfully made his community abortion free. He was given the Salt and Light Award by Dr. D. James Kennedy in 2000 for his Christian civic leadership. In 2004, Dr. Cass became the Executive Director of The Center for Reclaiming America for Christ, founded by Dr. Kennedy. While Gary was Executive Director the Center was rated one of the top ten pro-family organizations in America. In 2008, Dr. Cass became the Chairman and CEO of the Christian Anti-Defamation Commission which operates as DefendChristians.Org. He’s an author and has appeared in national and regional TV, radio and print media, including ABC, CNN, and Fox News and the Washington Post. Gary and his lovely wife of 31 years, Sandy.